In the summer of 2004, a guest of our clinic asked me what he could do to maximize his height using natural methods. At that time, he was still in his early 20s and aspired to play professional baseball. What began as a casual conversation about the physiology of bone growth led to me writing an article on this topic, which I ended up publishing on our web site. Since publishing that original article, I have worked with a handful of parents who have sought comprehensive guidance on this topic for their children; all of them were interested in doing everything that they could to help their children grow as tall as possible for various athletic activities. 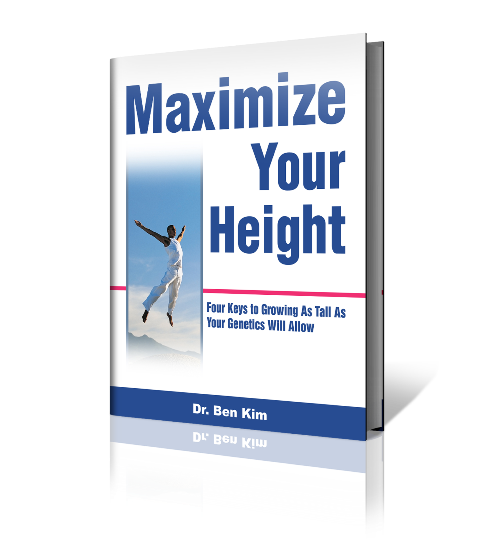 A concise outline of the four keys to growing as tall as your genetics will allow. A comprehensive list of the most important nutrients that are needed for optimal bone growth. A comprehensive list of healthy foods that are naturally rich in the nutrients that are most needed for bone growth. Sample meals that provide a balanced approach to obtaining the nutrients needed for maximal bone growth. Specific instructions on stretches and exercises that are essential to supporting optimal bone growth. This special report comes with a bonus recipe section that contains dozens of healthy recipes from Your Best Weight.